What expenses might you need to cover? 5. Do you have long-term care insurance? 6. Do you own a home, condo, or coop as your primary residence? (a) What is its current market value? (c) For a condo or coop, what do you pay monthly in association fees, excluding property taxes? Average: Normal life-expectancy and median expenses for health care, long-term care, and home upkeep. High-end: Longer life expectancy, home upkeep at twice the level of a median home, and custom levels you may set for uninsured medical expenses and long-term care. Life Expectancy. Questions 1 and 2 are used to estimate how many years of expenses your reserve fund may have to cover. Your longevity can be estimated from data for males, females, or an average of both. Medical Expenses. The calculator estimates your out-of-pocket costs for health care, using public data from federal agencies. If you wish, you can enter your own high-end number in question 3. See this article for suggestions on how to estimate a customized value for your circumstances. Long-Term Care. The calculator also estimates the cost of long-term care, as explained in this article. For the high end, you may, if you wish, enter a preferred number in question 4. The Genworth website may help you find a response to this optional question. If you indicated in question 5 that you have long-term care insurance, the calculator assumes the first 90 days of care must be paid by you, from your reserve fund. Your Home. If you own a home, condo, or coop that is your primary residence, you must answer questions 7a, 7b, and 7c. The calculator will use your answers in two ways. First, it will estimate how much to reserve to cover uninsured repairs and upkeep. 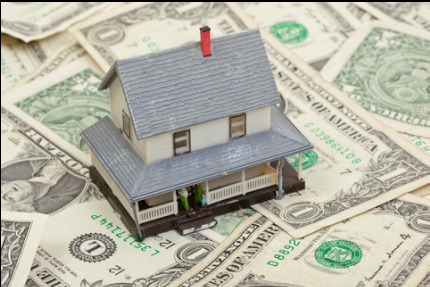 Second, it will determine whether your home equity might serve as part of your reserve fund. Estimates. After answering the questions, click the Calculate button (below) to see estimates that best fit your circumstances. If you wish, answer some questions differently, and click the button again to see how the results may change. Can you use some retirement savings as a reserve fund? Yes. In fact, you should do so, provided you are older than 59.5 years of age (tax-penalties might apply if you are younger). Also, you can use a rollover Roth IRA only if you established it 5 or more years ago. See this article for suggestions on setting aside a portion of your IRA, 401(k), 403(b) or other retirement savings as a reserve fund. Will the estimates change? Yes. Each year, your longevity will change, and some of the underlying data for costs and inflation may also change. You should revisit this calculator every year or so. How should you invest your reserve fund? The calculator recommends how to invest your reserve fund. It aims to limit losses, whether caused by market drops or inflation. It also adjusts for the number of years your reserve fund must cover. Each time you click the Calculate button, the results will be updated, if you change any of your answers in Part 1. At able2pay.com, we believe that reserves may be soundly invested in an all-in-one fund whose allocations resemble those shown in the table. For more information, including possible funds, see articles on the Retirement tab. ​​The predicted return shows how much your investments may gain per year, on average, based on historical data since 1871, after taking into account whether U.S. stock-prices are currently over-valued or under-valued. To learn more, read Finding Value. Note: This calculator was most recently updated on January 8, 2017, with current inflation rates and medical costs.